Designed in 1982 as GE 623, for Getama A/S the CH006 and CH002were the first Wegner designed dining tables in solid timber to be produced by Carl Hansen and Søn when they relaunched the table in two sizes in the 1990’s. The removable extension leaves are held in place by a a pair of simple hinges and can be quickly deployed to make room for unexpected guests. 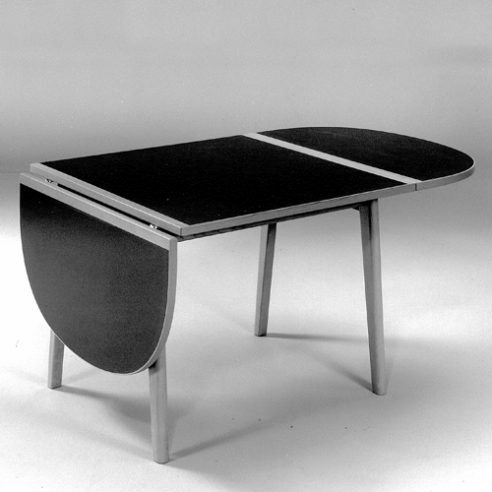 Both CH006 and CH002 have removable “D shaped” extension flaps at either end with pull out supports contained within the table themselves.